Warner Pacific University President Andrea P. Cook, learned the value of a hard day’s work at an early age growing up on a working cattle ranch in rural eastern Oregon. She helped her parents and three siblings herd cattle, move irrigation pipe, and tend to the countless other chores necessary to keep the ranch running year-round. In fact, as a child, she was already riding horse back when city kids her age were still figuring out how to ride bicycles. President Cook’s parents Wayne and Meleese Cook were devout Christians from whom she learned about God, faith, and the importance of education. She credits her father, in particular, for teaching her that she must be faithful to what she is called to do today. 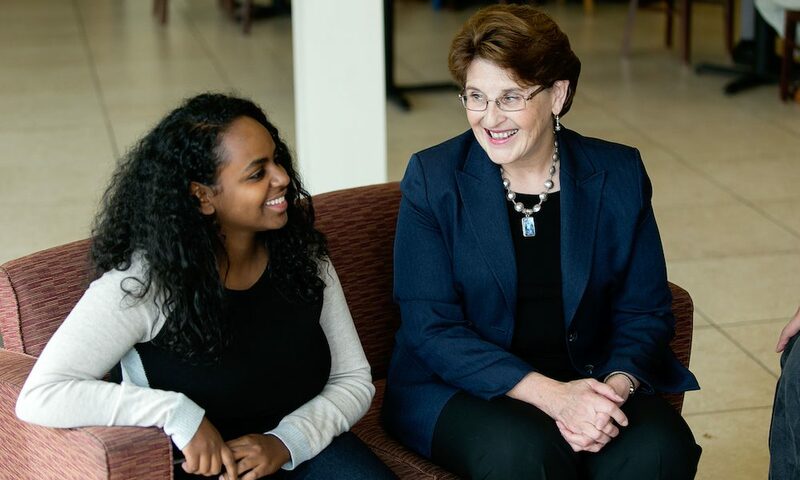 President Cook has spent most of her career in higher education in the state of Oregon. After completing her baccalaureate degree in elementary education at Northwest Nazarene College in 1977, President Cook served as Director of Financial Aid and later as Director of Admissions at Judson Baptist College. Between 1983 and 1987, she was the Associate Director of Financial Aid at the University of Oregon. She then began a fifteen-year stint at George Fox University, in Newberg, Ore., where she held a number of positions, including Director of Admissions and Marketing for Continuing Studies, Registrar, and, finally, Vice President for Enrollment Services from 1993 to 2002. President Cook served as Vice President for Institutional Advancement at Goshen College in Goshen Indiana from 2002-2005 before taking the same role at Warner Pacific. President Cook holds both a master’s degree and a Doctor of Philosophy degree in Educational Policy and Management from the University of Oregon. Her doctoral dissertation addressed the role of faculty intervention in student retention. Following the retirement of college president Jay A. Barber in May of 2008, the Warner Pacific University Board of Trustees asked President Cook to serve as Interim President while it conducted a national search to find President Barber’s replacement. As it turned out, President Cook proved to be the top candidate. 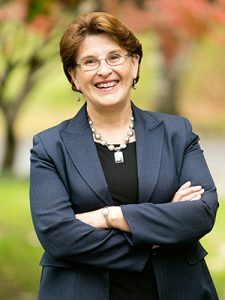 In November 2008, the Board unanimously selected President Cook to become the university’s seventh – and first female – president. A year later, on September 20, 2009, she was formally inaugurated. During her time at Warner Pacific University, Dr. Andrea Cook has been a driving force behind the University embracing its identity as an urban campus dedicated to serving the City of Portland. Through specially tailored programs, first-generation students at Warner Pacific are achieving their higher education goals, paving the way to a brighter future. Dr. Cook was instrumental in facilitating a partnership with the Portland Leadership Foundation and the Act Six Leadership & Scholarship Initiative, a robust scholarship program that has funded 110 of Portland’s brightest, under-represented students to attend Warner Pacific with the objective of earning a degree that will prepare them to lead in their community (since 2010). She is a person of integrity, insight, transparency, and faithfulness. She is a native Oregonian and a history maker in the area of higher education in the state.